When it comes to developing the ability to push someone around, a skill necessary for almost every team-based sport, there isn’t a better training tool than the push up. I’m sure there are plenty of 5/3/1, Bigger Stronger Faster, or other weight room guys that will argue a big bench trumps someone who can crank out a bunch of push ups any day. That’s when I refer to the great Earl Campbell and Herschel Walker, two incredibly successful and punishing running backs in the NFL, who reportedly were body weight training guys. They swore by push ups and body weight exercises and clearly had no problem pushing around the best in the world over and over. Additionally, you have to look at the population of athletes in front of you. We have mostly late middle school or high school age kids who have a low training age and lack the ability to activate their entire body. The push up and its progressions give us an opportunity to teach that skill to our athletes. More importantly, a girl that can crank out 10 full push ups and a boy that can knock out 25, in our experience, has a body well-prepared for sport and the contact typical of most team sports. Finally, from a biomechanical standpoint, I look at the push up and see the direct correlation to pushing necessary for sport. The body stabilizes on the ground with four contact points, but the majority of the body MUST be active when pushing away from the ground. Otherwise, we might as well be doing the worm. That pattern very closely resembles an athlete pushing someone on a field or court, with two legs on the ground and the entire body activated. Conversely, when assessing the mechanics of a bench press, the back, glutes, and (sometimes) thighs are in contact with a stable surface. I don’t know of a situation in team sports where that much of the body comes in contact with a surface while pushing. The exception, of course, is being on the bottom of a pile of players after a tackle and pushing someone off you, which is not ideal for high performing athletes. So let’s take a look at our progressions to get a young athlete crushing push ups on a regular basis! The plank requires a lot of focus and should be difficult to hold for a long time. Therefore, we find it much more beneficial to teach athletes a plank by having them fire everything for brief periods (10-20 seconds) rather than hanging out in a plank for a minute with just enough activation to make it look good. Mountain Climbers, in our world, don’t differ greatly from a plank. The only difference here is that the athlete now must learn to stabilize in a dynamic setting. By using that cue, the athlete now aggressively pushes his or her body away from the ground, giving the leg more room to move and activate the scapular stabilizers that are generally very weak and assist in poor posture with young athletes. We also ask athletes to “torque the ground” with the intent of turning the hands away from each other. The hands shouldn’t move, but when torquing occurs, the arms become more active and better prepared for a push up later on in the progressions. Once an athlete shows quality movement with the mountain climber, we will have him or her start to move the leg with aggression while stopping it at 90 degrees to the body. The exercise then turns into an excellent front leg drive drill for acceleration training. We use two main variations of the standard push up to help young athletes progress towards completing a push up that is repeatable and consistent through fatigue. Our first and most common assisted push up is completed via the use of a resistance band attached to the athlete’s body and a point well above the athlete’s body (typically 7-9 feet high on a rig or hook). There are some significant benefits to this variation. First, the movement is quite similar to an unassisted push up from the ground. Second, the athlete can torque the ground with his or her hands and arms like we cue during an actual push up. Once an athlete has developed sufficient assisted pushup strength and can perform the movement without the band, there is almost no adjustment necessary for a body weight push up. There are, of course, limitations to any assisted pattern. First, the core is supported during the assisted pushup and for many of our athletes who are stuck in anterior tilt, core strength is the limiting factor and sometimes allows them to continue doing the worm instead of a push up once the band is removed. Second, we often miss full range of motion (ROM) with our younger athletes, particularly boys. They want to crank out 20 push ups because, “that’s what I did when I tested for football!” However, the only way their chest would touch the ground with their “testing push ups” would be if they had a 60-inch chest. And I have yet to see a 16-year-old that looks like Lou Ferrigno. The other variation we use is an elevated barbell on a rack. Again, there are both positives and negatives to this assisted push up variation. First, it is great for younger female athletes who truly lack upper body strength. They can see gradual improvements in strength since the holes on our rack are 1-inch apart. They can make small gains, sometimes within a singular training session, and certainly over a 6-week training program. Second, because of the height, those athletes who lack upper body strength can start to make significant gains in chest, shoulder, and arm strength since they don’t have to struggle through the pattern and can truly focus on form, positioning, and muscle tension. But this variation also leads to some potential issues of which coaches need to be aware. Second, since the hands are on the bar, not on the ground, torquing is nearly impossible. I am not going to lie to you and say I haven’t seen it done, but generally those just learning a push up can’t start pulling apart a bar plus do all the other things they need to do correctly. Remember, this isn’t our end all, be all. Instead, it is a stepping stone from a mountain climber to a full push up from the floor. The push up is our end all, be all. I fully believe an athlete does not need to train bench press unless they are required to test for their sport. For the sports required to test the bench, like football, there is enough contact and pushing involved in practice and play that it justifies working the bench press into programming. However, no matter how advanced our athlete is starting out, I want to PERSONALLY see them do ten perfect push ups before they put their face under a bar and start benching. All too often we have athletes come in who bench and are stuck at a certain weight. When they show me their push up, it’s evident they lack the full body activation necessary to do a push-up. Once we train the push up correctly, they go back to the bench and magically set a new personal best. The things we coach in a quality push up stay consistent with everything taught in the previous movements, but we add additional cues to maximize pushing power. Once an athlete shows the ability to accomplish this and get his or her chest to the ground for a reasonable amount of push ups, we may add resistance in the form of plates on the athletes back. We had some strong male athletes rep out ten push ups with 90+ pounds on their back, so if you don’t think you can overload the push up, you’re wrong! By taking the proper steps in progressing a young athlete through the push up, you will create a powerful, stable athlete capable of pushing around anyone he or she chooses. And when the athlete returns to his or her team and can crush all teammates in push ups, they walk a little taller. When we as coaches can create confidence like that, we win! 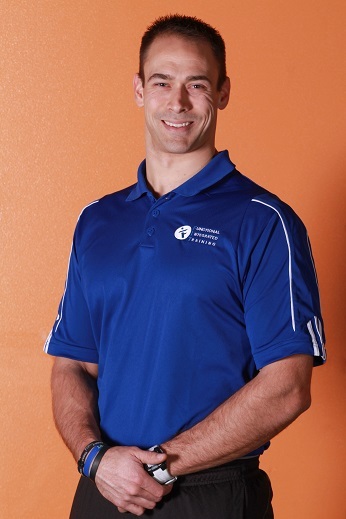 Jared is founder of Functional Integrated Training (F.I.T.). F.I.T. is a performance-based training facility located in Madison, WI. They specialize in training athletes of all levels: everyday adults, competitive adults and youth ages 5-20+. The long-term vision for F.I.T. is recognition as the training facility for those desiring to compete at the collegiate level in the state of Wisconsin. Alongside that, to also develop a platform to educate those in our industry looking to make strides towards improving the future for our young athletes. Find out more about Jared’s gym by visiting F.I.T. Learn more power evolution techniques today.